Offering sheer driving pleasure at its most exclusive, BMW Individual produces unique cars that are designed in accordance with its customers’ wishes and expectations. Since its establishment in 1992, BMW Individual has enjoyed very close connections with its customers. The possibilities are almost infinite – the personalisation itself is very simple. The portfolio of BMW Individual has just the right range for every customer looking for that something special. The collection encapsulates perfectly coordinated features, which are aligned with the character of the respective BMW series: from special paintwork, leathers and interior trims, to selected alloy wheels or coolers. 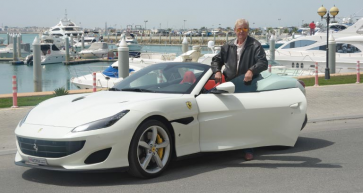 The customer is the designer of their car. Whether interior or exterior, golden door handles or the family crest on the headrest – almost every wish can come true. The only prerequisite being that the customised manufacture must not contradict safety requirements, qualities typical of the brand or legal requirements. And BMW Individual consistently demonstrates its capability with extra special models that are a result of collaboration with handpicked partners. Limited editions, often manufactured as unique pieces, get to the heart of the potential and passion of the BMW Individual employees. On the 25th anniversary, the BMW Individual M760Li, inspired by Nautor’s Swan, makes its debut. Another milestone in the history of the factory based in Garching, just outside Munich. The history of BMW Individual goes back 25 years. 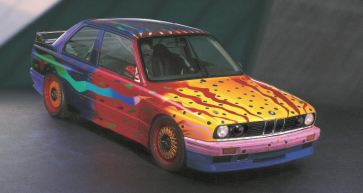 In 1992, it was none other than designer Karl Lagerfeld who sketched the first drafts of a personalised BMW. He also received delivery of the first custom- made BMW, a 750iL in twotone paint, black at the bottom and silver on top, with a fine green line separating the two colours. The interior coverings were made out of the fabric from Karl Lagerfeld’s briefcase at that time. From the front passenger seat, which was Lagerfeld’s favourite place to sit, he had access to a fax machine among other things. This was the green light for BMW Individual – and accordingly for the first manufacture of personalised cars in the entire industry. From the outset, BMW Individual championed the highest quality and the fulfilment of any customer’s wishes. On the one hand, the launch of BMW Individual was a response to the continuing trend of making an individual statement in all spheres of life, and on the other hand it was an expression of the BMW brand’s commitment to and passion for that something special. BMW Individual soon became part of BMW M GmbH, which specialised in everyday high- performance vehicles, and still trades under this umbrella. In 1996, four years after the debut of the first BMW Individual car, the range was refined further. The cross series BMW Individual collection in the form of paintwork, leathers and interior trims was unveiled. 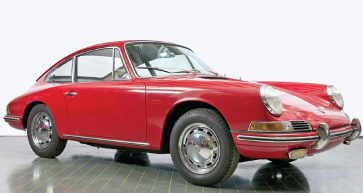 Added to this was sophisticated technology; with the rear seat entertainment, including TV/DVD, BMW Individual was a frontrunner in the industry, and, with the integration of an Internet connection in the car, was among the pioneers of vehicle digitalisation. In addition, BMW Individual has offered customers holistic vehicle design since 2001. Depending on the series, it arranges carefully matched individual compositions, thereby enabling particularly convenient personalisation, which is now available for almost every BMW model. With the offering from the BMW Individual Manufaktur, each customer can still design their very own BMW. The possibilities are almost without limit. In previous decades, numerous royal families and celebrities have made use of the service and discretion of the BMW Individual Manufaktur – and so have aficionados of the BMW brand and people who want to add a personal touch to sheer driving pleasure and enjoy it to the full. In 2015, BMW Individual introduced the BMW Individual 7 Series Augmented Reality app. Its purpose was not only to provide information, but primarily to help customers give their BMW that personal, unique touch. The same year, the app received the Red Dot Award: Communication Design. For many customers, the BMW Individual experience begins with the selection of their own personalisation options. The BMW Individual app offers valuable assistance during this process. It is available for iOS and Android and allows the user to discover all the options within the BMW Individual Collection, experience materials interactively, and display a realistic impression of the countless combinations available on a tablet or smartphone. Featuring an innovative design, it also offers an insight into the options available from the BMW Individual Manufaktur. This way, you can experience something that does not yet actually exist. Added to this are the particularly elaborate special models and unique specimens with which BMW Individual consistently demonstrates its full potential. These projects arise in cooperation with other companies, for example with the grand piano makers Steinway & Sons, the silverware specialists Robbe & Berking or the renowned watch manufacturer Girard Perregaux. The most recent example is the BMW Individual M760Li inspired by Nautor’s Swan. Over the past 50 years, the renown of Nautor’s Swan has spread beyond the world of sailing and is understood to be synonymous with luxurious, highperformance yachts. BMW and the Finnish yacht designer and manufacturer share a partnership of many years’ standing. The two brands appear together at prestigious regattas such as ‘Les Voiles de SaintTropez’. This cooperation has produced a one- off model to celebrate the 25th anniversary of BMW Individual, combining the best of both worlds. 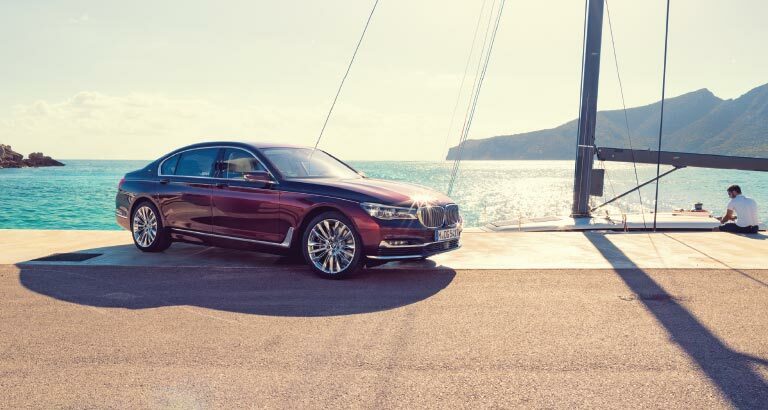 The result: the BMW top model M760Li xDrive V12 Excellence, inspired by a glamorous sailing yacht. A brief glance is enough to reveal the yachting inspiration behind the model, with some elements being produced by hand at the yacht maker’s workshop in western Finland. These include teak panels with joints filled precisely with a fine layer of rubber. This carbon- bonded wooden component graces the boot floor in the BMW Individual M760Li inspired by Nautor’s Swan. The boot is also intricately fitted out in Alcantara Smoke White. The cooperation between the two brands is also apparent on the exterior. The brake calipers on the BMW Individual M760Li, which are exclusively finished in the same colour as the car, each bear a sublime relief Swan logo and the boot lid bears the company’s arrow motif. Based on the BMW M760Li xDrive luxury limousine, the starting point for such a special car was the already impressive BMW M760Li xDrive V12 Excellence. It has an exterior finished in the special BMW Individual colour damask red and a two-tone fine- grain Merino leather interior in smoke white and Criollo brown. The same is true of other features finished in leather, such as the footrests in the back of the car. BMW Individual takes the full leather interior to the next level, integrating top- quality BMW leather varieties into the trims for the A and B pillars, seat trims, door sills and the side covers for the instrument panel. The vehicle manual is also produced inside the Manufaktur and bound in Criollo brown Merino leather. The BMW Individual M760Li inspired by Nautor’s Swan special model is just as impressive on the road. An M Performance TwinPower Turbo 12-cylinder petrol engine provides plenty of drive. A cubic capacity of 6.6 litres allows the engine to perform at 448kW/610hp and provides maximum torque of 800Nm. The high- performance engine lets the car accelerate from 0 to 100km/h in 3.7 seconds. In conjunction with the modern eight-gear Steptronic Sport transmission, the matchless characteristics of the V12 engine provide plenty of sporty yet controlled thrust. The innovative Executive Drive Pro chassis system also combines remarkable driving dynamism with maximum driving comfort. As you would expect from such a highquality car, the onboard technology is also state- of- the- art. Semiautomated driving, touch display and BMW Gesture Control are just three of the technical highlights of this unique part of BMW’s history. The BMW Individual M760Li inspired by Nautor’s Swan debuted at the Frankfurt International Motor Show in September.